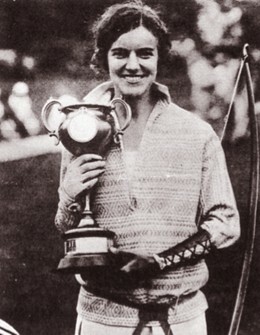 Since 1919 when she won the women's championship for the first time, Mrs. Dorothy Smith Cummings has been the foremost U. S. lady archer. When she won again last week it was her seventh championship. 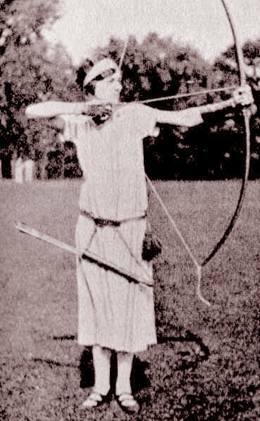 Small, thin and wiry, she had 70 hits for a world's record score of 426 in the first National Round. 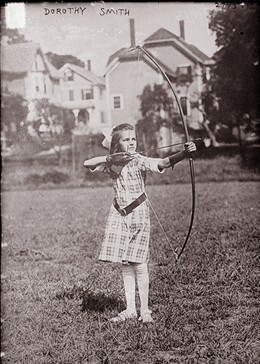 Mrs. Cummings became a toxophilite at the age of nine; now in her late 20's, she shoots with placid abandon from an orthodox position with her heels at right angles to a line drawn from the gold.